Miss Walker's Class: Almost the same photo as the previous one! BACK ROW: 1a dk, 1 Terry Potter, 2 Robert Thomas, 3 Michael Frearson, 4 Phil Turner, 5 John Sims, 6 ?Ted Broadhurst, 7 Kenneth Ryder, 8 Michael White, 9 David Weston.? 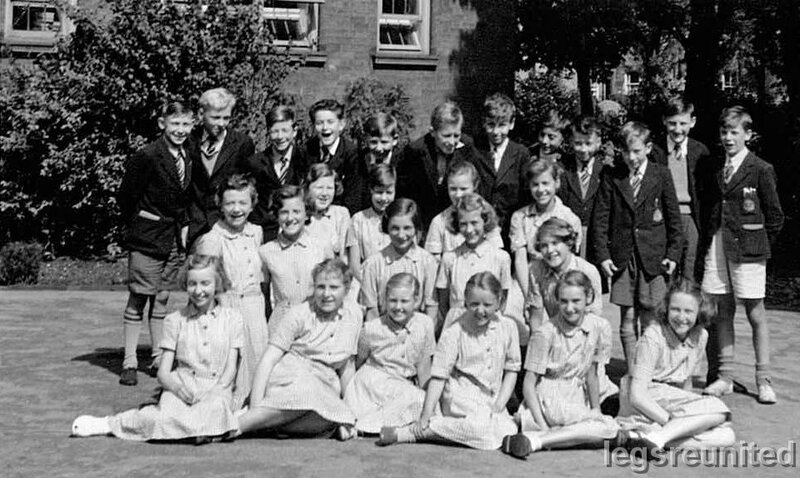 3rd ROW: 10 Glenda Mee, 11 Carol Anne Howard, 12 Jackie Kirkham, 13 Valerie Fox. 2nd ROW: 14 Glenys Beech, 15 Lyn Arnold 16 Iris Fletcher, 17 Sheila Weakford, 18 Caroline Smith.